The entrance to the synagogue is a back alley. It is on a dark street with very little color--even on a beautiful day without a cloud in the sky. With bullet holes and old and decaying bricks and stones, the structure does not convey any sense of joy. Broken bottles and rotting garbage--either stuck to the base of the wall or at its feet--create a wretched cesspool. Cleaning would not help since many people come to the spot to purposely litter and sprawl the anti-semitic graffiti covering the walls, including small, red swastikas. Why did the largest and oldest synagogue in the capital city of Madrid require passports at every service, even for members? Why would people deliberately attack and vandalize a place of worship? As a curious 11 year old, those questions haunted me. In Middle school, my family relocated to Spain. I first attended a small public school. Being an American Jew with awful Spanish turned making friends into a battle. My Spanish was so bad that when I tried to say I was a jew, I ended up describing myself as a bean instead. I made friends with a guy named Daniel, who could speak English and was nice to me. While everyone else played soccer, Daniel and I would spin tops. One day I saw Daniel struggling to retrieve his top from a group of taller guys. They were playing keep away, and laughing. I saw injustice happening around me and I remembered our teachings: "When you see your fellow's ox away from his land, you shall not ignore it; you shall bring it back to him." My attempts at yelling, "parar," were lost in translation; the situation was escalating. After a moment of incomprehensible spanish, I was pushed, hard. I went sprawling face first into a metal goal post on the soccer goal. I hit with a loud crash and immediately tasted blood. It was all over everything, gushing out of my nose. I saw it on the pole, my clothes, everywhere. I collapsed in a heap on the floor, not knowing how to stop the blood until a teacher finally arrived. My aggressors claimed that I had walked into the pole myself. They were not punished. In that moment, I vowed to never abandon the fight for what was right, no matter what the cost. At times, I was unable to be Jewish outdoors. A bus driver told me that wearing my Jewish kippa was highly dangerous because of past violence. This stifling of my Jewish identity inspired my desire to be a champion for Judaism and Jewish ideals wherever I travelled. While I have been to Israel three times, I truly developed my passion for Judaism in Spain, a country with a very minute Jewish population ever since its dramatic reduction in 1492. Back in the US, I re-enrolled in my Jewish summer camp, and embraced the experience with more enthusiasm than ever. I was a camper until I was 15 and then became a counselor, blessed with the opportunity to inspire younger campers with Jewish spirit. Camp was also a safe space to nurture new interests after Spain. Despite having never acted before, I won the part of Riff in our all-Hebrew production of West Side Story. Then, in my junior year, I reprised the same role at my high school, this time in English. While the school production was larger and grander, I cherish what I gained from the smaller staging in Hebrew--something I may not have appreciated without the Madrid experience. I also helped to lead others towards social justice. As President of Jew Crew, we joined with another high school that has a Palestinian club to dialogue on social justice from Jewish and Palestinian perspectives. Just last season, we did a project removing anti-Islamic graffiti from a metro stop here in San Francisco. Tolerance, and a little poetic justice, is the key. 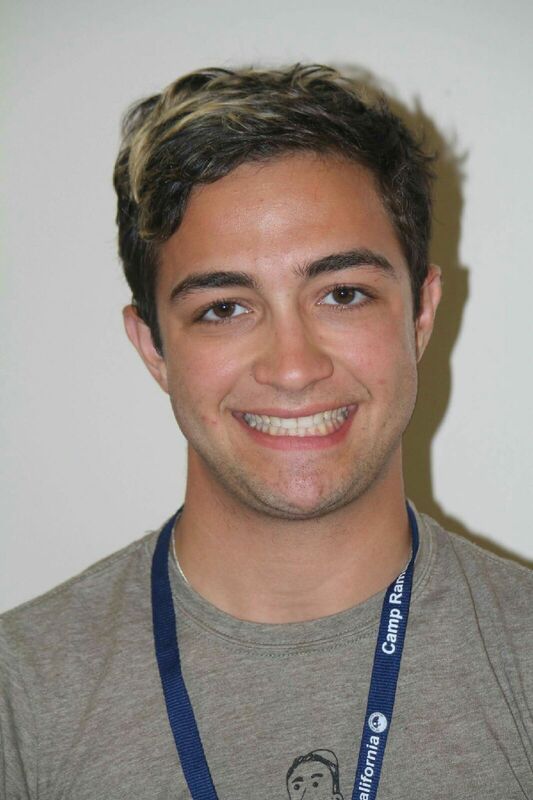 Josh Horwitz, a graduate of Lowell High School in San Francisco, is a freshman at Syracuse University.